One Spanish sports daily, AS, reported that the midfielder who led Croatia to the World Cup final was subject to a big bid from Inter Milan. MADRID: Luka Modric returned to training at Real Madrid on Wednesday along with five other World Cup players, against a background of contradictory rumours about his future. One Spanish sports daily, AS, reported that the midfielder who led Croatia to the World Cup final was subject to a big bid from Inter Milan, while a competing newspaper, Marca said the 32-year old was about to accept a pay rise from Real and sign a contract extension. Modric, awarded the Golden Ball as best player at the World Cup, was given a break rather than join Real's pre-season tour of the United States, as were another Croatian World Cup finalist, Mateo Kovacic, who was reported to have travelled to London to join Chelsea, French World Cup winner Raphael Varane and Brazilian duo Marcelo and Casemiro. On Wednesday, as the Real first team flew back to Madrid after beating Roma in New Jersey on Tuesday night, the club said the World Cup players were in training. "The Croatian midfielder joined Marcelo, Varane, Casemiro and Kovacic, who did individual work in the gym. The four players trained with nine players from the under-18s," Real Madrid said on their web site. 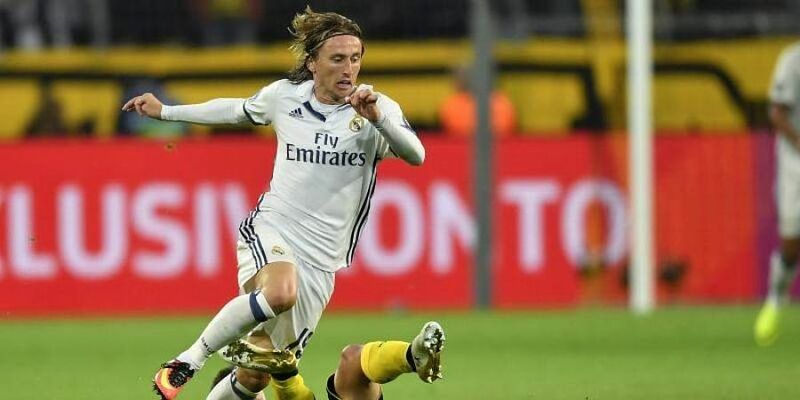 Among the conflicting reports, Marca said that Modric, who joined Real in 2012, "did not consider his current salary matched the level of his performances" and that the player, who turns 33 early in September, was about to sign the best contract of his career. AS said Modric, who has not commented publicly, "foresaw joining Inter." Marca said "he would stay at Madrid" because "the club intended to increase his salary."